It will be another year of mixed fortunes in Irish agriculture in 2015, according to Teagasc economists in a new report summarising their mid-year assessment of the sector’s performance. Drystock producers, who ordinarily have relatively low incomes, will see their farm profits increase in 2015. By contrast, dairy farmers who normally record the highest incomes each year, will see their farm profits fall. In general Teagasc says farm input price movements to date in 2015 have been minimal with upward pressure on fertilizer prices being offset by lower feed and fuel prices. Weather conditions have not presented any serious headaches for producers. According to Teagasc current indications are that input usage levels this year are likely to be close to normal. Production: Irish milk production was down in Q1 due to quota constraints, but a surge in production has been observed in Q2. Lower milk prices may temper milk production growth in Q3. Teagasc says an annual increase in Irish milk production of 10% looks likely, with considerable regional and farm level variability around that figure. Prices: Irish milk prices fell through the first half of 2015 as the decline in international dairy prices fed through to the EU market. With an oversupply of dairy products globally, further milk prices reductions may take place in the coming months. However, further price reductions will have a limited impact on the annual average price, given the seasonal milk production profile. Costs: In 2015, feed, fertiliser and energy price movements are tending to offset each other, leaving overall production costs stable. Efficiency gains may be achieved on expanding farms. Margins: Net margins in 2015 will be down over 60% on the last two years and average dairy farm income looks like being over 40% down on the 2014 level. Production: Irish beef production has so far fallen by about 4% in 2015, reflecting lower cattle availability. 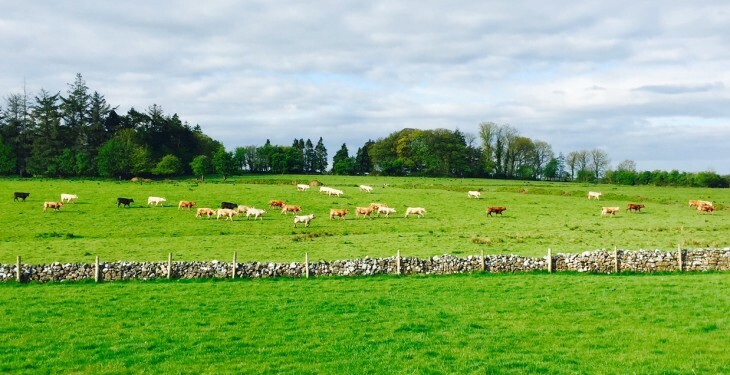 Prices: Following the controversies of 2014, where declining finished cattle prices led to lower incomes on cattle finishing farms, 2015 has so far been characterised by increasing prices for cattle at all points along the Irish beef supply chain. The short term outlook to the end of the year is for Irish cattle prices to remain on average at higher levels than in 2014. Costs: Costs of production are likely to fall slightly in 2015, mainly due to lower feed and fuel prices and possibly lower feed usage volumes. Margins: Higher market prices for young and finished cattle, combined with largely static input costs, should lead to improvements in the profitability of cattle production in Ireland over the poor outcomes that characterised 2014. Gross margins on Cattle Finishing look like being up to 20% higher than in 2014, while margins on single suckling farms could improve by up to 30%. Production: In 2015 EU and Irish lamb supplies are forecast to increase marginally, according to Teagasc. With the increase in supply likely to be matched by modest improvements in demand for sheep meat, the outlook for EU and Irish heavy lamb prices is stable. French markets) will be supported by the expected on-going weakness of the Euro against the pound sterling. Margins: With stable to improving lamb prices, improved lambing conditions in 2015 and aggregate input costs that are forecast to be largely stable in 2015, profit levels in Irish sheep production should be above those achieved in 2014. Gross margins on mid-season lowland lamb enterprises are forecast to be 8% higher than those recorded in 2014. Production: In Ireland growing conditions to mid July 2015 have been relatively good, but harvesting is slightly delayed, making it difficult to gather hard evidence on likely yields. Prices: A tightening of supply and demand at the global level should introduce some upward movement in global grain prices in 2015. There is potential for a slight increase in harvest prices in Ireland relative to 2014 due to international market conditions. Costs: Production costs in 2015 are relatively unchanged on the 2014 level. Margins: A slight improvement in margins is likely if yields are close to the 2014 level, but it is still too early to conclude how close this year’s yields can come to matching the excellent yields recorded in 2014. In spite of the upward income trend on drystock farms in 2015, Teagasc says when the decline in income on dairy farms is factored in, overall average family farm income is likely to fall by about 15% relative to 2014, leaving average income in the €22,000 to €23,000 range. The report was prepared by Trevor Donnellan, Kevin Hanrahan, Thia Hennessy and Fiona Thorne who are based at the Agricultural Economics and Farms Surveys Department Teagasc.